Sean ‘Diddy’ Combs is the top earner on Forbes’ list of the 100 highest-paid celebrities. 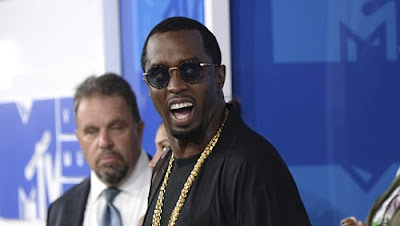 The magazine says the artist formerly known as Puff Daddy brought in $130 million from June 1, 2016, to June 1, 2017. Last year’s top earner, Taylor Swift, dropped to No. 49. The singer brought in $44million, down from $170million – but she hasn’t put out an album or toured since 2015. All 100 celebrities on the list made a combined $5.15billion, but that doesn’t account for the fees they pay agents, managers or lawyers.